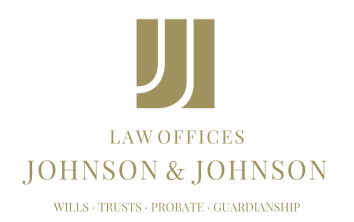 Protection of one’s assets is a concern of many residents of Nevada; however, deciding on the most effective way to do that may cause confusion. Individuals who are considering asset protection may want to make use of the advice of financial advisors before deciding whether a will and durable power of attorney will be sufficient, or whether a trust will be a better option. If a trust is determined to be the most suitable option, one has to choose between a revocable and irrevocable trust. An individual’s choice will determine how much control he or she has over the asset protection. An irrevocable trust is exactly what the name suggests — once drawn up, it cannot be changed. Therefore, in addition to giving careful consideration to the specifics of the trust, proper thought should be given to the selection of a trustee, because once chosen, it cannot be changed. An irrevocable trust may prove to have significant tax benefits for those with substantial assets. A revocable trust offers an individual more control but less tax benefits. Such a trust, and even the appointed trustee, may be changed at any time. It is a suitable way to have one’s income and assets handled in the event of becoming incapacitated and unable to manage one’s affairs without the need of a court order. A revocable trust can provide protection of assets against creditors’ claims, but only if the assets formed part of the trust prior to experiencing credit problems. Nevada residents may feel overwhelmed when having to make these decisions, due to a lack of the necessary knowledge. However, there is no need to cope with asset protection planning on one’s own, as advisors are available for providing advice and assistance in drawing up the legal documents that are required. Probate laws differ from one state to the next, and the appropriate advisor may ensure that documents will hold up in court if challenged.